North Carolina State University’s Park Scholarships Class of 2014 will present the 15th annual William C. Friday Award to Mr. Jim Whitehurst, president and CEO of Red Hat, the world’s leading provider of open source enterprise software. The award will be presented on Wednesday, March 26 from 5:30-7:00 PM in the Hunt Auditorium of the James B. Hunt, Jr. Library on Centennial Campus at North Carolina State University. The award presentation will be followed by a lecture from Mr. Whitehurst on education, open source technologies, and leadership. The event is open to the public. The William C. Friday Award, established in 2000, is named after the former President of the University of North Carolina. The annual award is presented by the senior class of Park Scholars on behalf of the entire program and honors Friday’s dedication and excellence in leadership, scholarship, service and character. 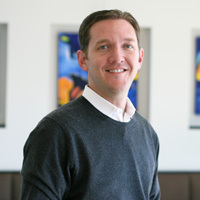 Whitehurst is an avid advocate for open software as a catalyst for business innovation. With a background in business development, finance, and global operations, Whitehurst has proven expertise in helping companies flourish—even in the most challenging economic and business environments. Since joining Red Hat in January 2008, he has more than doubled the company’s revenue. Under his leadership, Red Hat was ranked 4th on Forbes’ list of “The World’s Most Innovative Companies” in 2012, was added to Standard and Poor’s (S&P) 500 stock index in 2009, and named one of the best places to work in 2014 by Glassdoor. During his six years at Delta Air Lines, he drove significant international expansion and as chief operating officer, oversaw all aspects of airline operations—from sales to strategy. At The Boston Consulting Group (BCG), where he began his career in 1989, he held several corporate development leadership roles, working in the Chicago, Hong Kong and Shanghai offices, and as a partner in the Atlanta office with numerous clients across a wide range of industries. Whitehurst currently lives in Durham, North Carolina, with his wife and twins. Past recipients of the William C. Friday Award include Mr. Friday himself, NC State Chancellor Emeritus Larry Monteith, General Hugh Shelton, noted historian John Hope Franklin, SAS leaders Ann and Jim Goodnight, Geomagic CEO Ping Fu, Special Olympics of North Carolina CEO and President Keith L. Fishburne, Ambassador James A. Joseph, and Principal Chief of the Eastern Band of Cherokee Michell Hicks.